Our readers have really come through with exciting photographs to share with Birding Wire fans! This week we feature the photos of Kris Alberts, a Chicago native who works primarily in San Diego County. Kris provided an impressively detailed Snowy Egret portrait and two candid photos that provide a view into the world of nesting California Gnatcatchers, a threatened species. 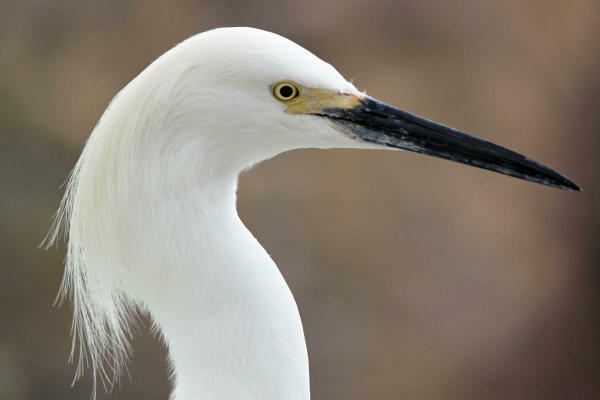 A dramatic Snowy Egret portrait shows the detail of this plumed adult. An adult male California Gnatcatcher stands guard at his nest in California sagebrush. 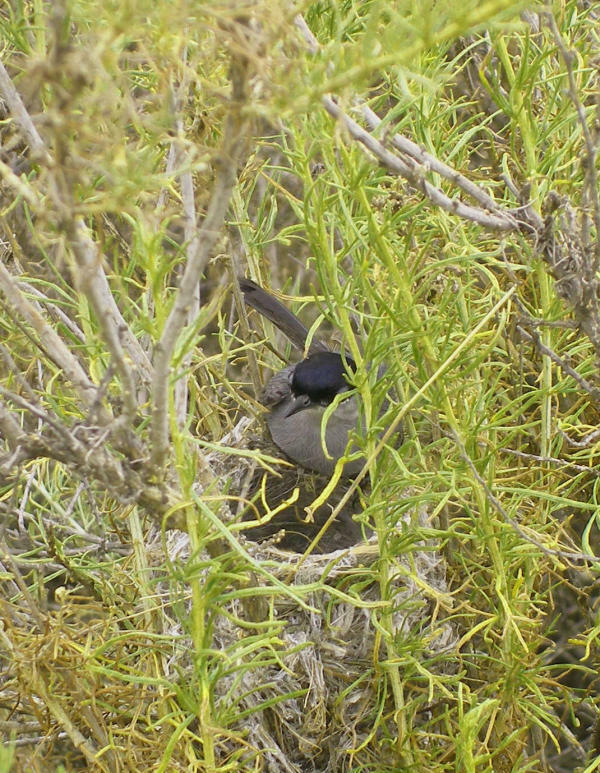 Please don’t be concerned about his close approach to this nest, for Kris wrote that he is a permitted biologist who studies this species’ behavior and nesting biology and, considering the dense coastal sage the nest was built within, the close approach to the nest was necessary to check the progress of this nesting attempt. Kris also shared that the nestlings in the third photo fledged successfully, thereby adding to the growing population of California Gnatcatchers in the Tierrasanta area in northeast San Diego. 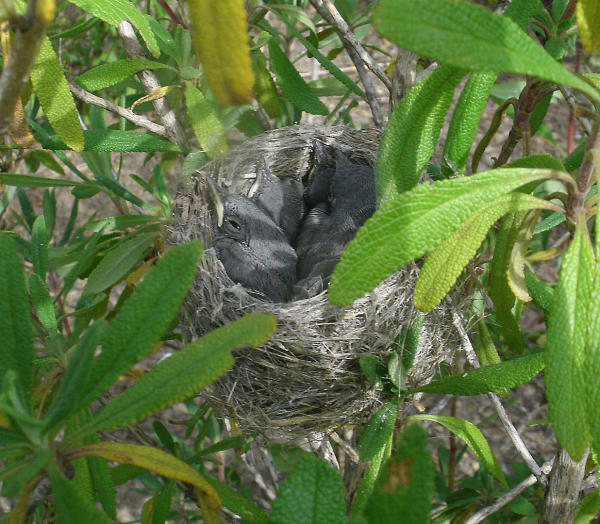 Four large nestlings rest and wait for the adult California Gnatcatchers to return with small insect foods. It is also interesting to see the difference in the two nests due to the different nesting material used. It’s interesting to see how the nests are both beautifully woven, and it appears that even four large nestlings had little effect on the tightly built nest. Thanks again to Kris Alberts for sharing his impressive photos and insights with the readers of The Birding Wire!